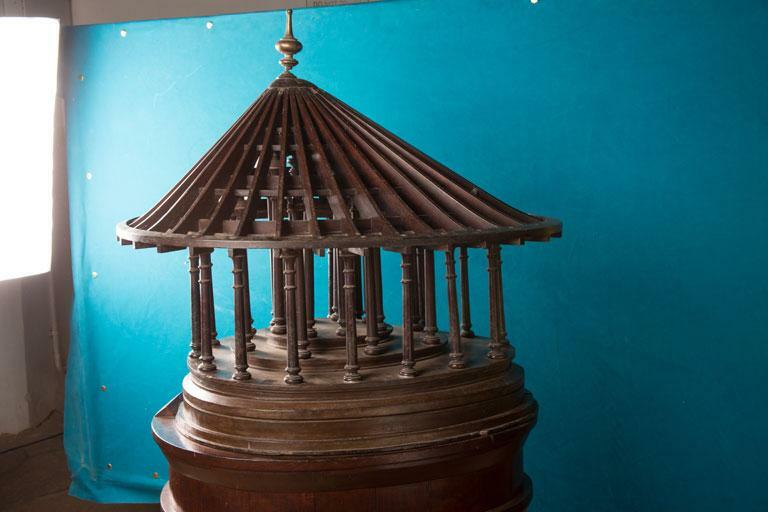 This is the model of the original Koothambalam (temple theatre) in Chengannore Siva Temple. It has 32 pillars. This model showcases an atypical and complex style of construction. Koothambalam is a traditional temple theatre for the performance of ‘Koothu’ and ‘Koodiyattam’ in Kerala. It is considered to be as sacred as a temple. They are constructed obeying the Natyasasthra of Bharathamuni. The 16m long and 12m broad structure with a 4m square platform is supported by pillars in the centre. These pillars enable the audience to view the dancer without any obstruction from any angle.